BOB DYLAN-THE BOOTLEG SERIES VOLUME 14:MORE BLOOD, MORE TRACKS. Bob Dylan-The Bootleg Series Volume 14: More Blood, More Tracks. On January the ’20th’ 1975, Bob Dylan released his fifteenth album Blood On The Tracks, to mixed reviews. Despite that, Blood On The Tracks, which was recorded in New York and Minneapolis during September and December 1974 topped the US Billboard 200 and sold over two million copies and was certified double-platinum. Not for the first time were critics were proved wrong. Bob Dylan’s fans were totally won over by a deeply personal and confessional album, where many of the songs are about his estrangement from his then-wife Sara. This is something Bob Dylan later denied in a number of interviews. However, Bob Dylan’s son Jacob later called Blood On The Tracks was later described by Jacob Dylan as: “his parents talking” on an album that is number sixteen on Rolling Stone’s list of the 500 greatest albums of all time and in 2015 was inducted into the Grammy Hall Of Fame. 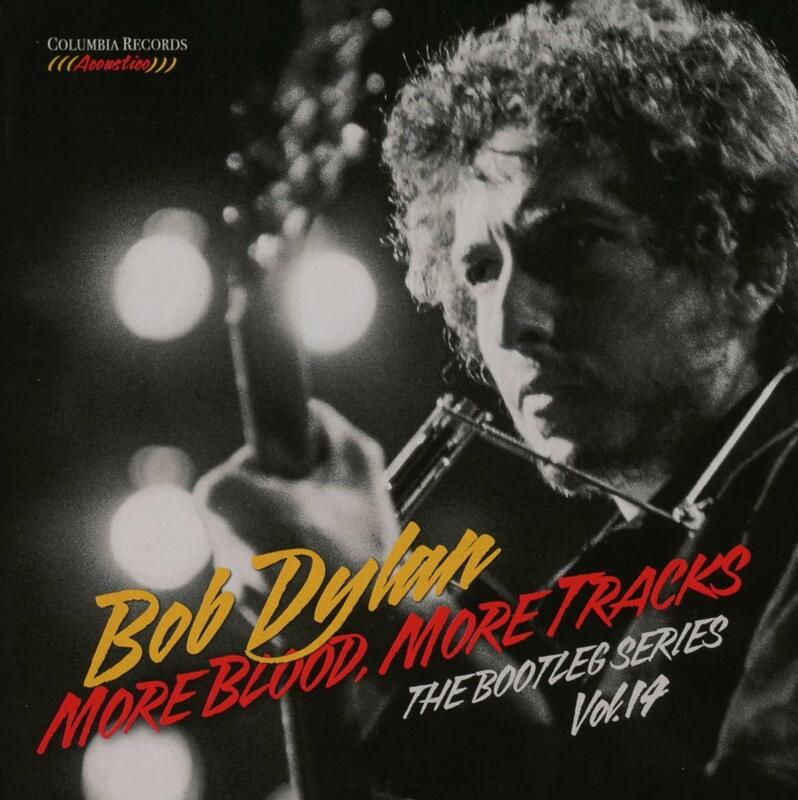 Now some forty-three years later, The Bootleg Series Volume 14: More Blood, More Tracks which was recently released by Legacy Records was released in November 2018 and revisits Blood On The Tracks. This comes twenty-seven years after Bob Dylan released The Bootleg Series Volumes 1–3 (Rare and Unreleased) 1961–1991. The Bootleg Series Volume 14: More Blood, More Tracks is akin to musical time travel, and takes the listener back to 1974, when Bob Dylan spent time recording Blood On The Tracks between the ’16th’ to the ’19th’ ofSeptember 16–19, 1974, at A & R Recording in New York. By then, there were changes afoot in Bob Dylan’s personal life. Having just completed his 1974 tour with the band, Bob Dylan was in New York for a few weeks while he attended art classes with the painter Norman Rae, who the singer later credited with changing his understanding of time. This resulted in Bob Dylan starting to write a series of songs in a red notebook with his newly acquired knowledge. It was during this time that Bob Dylan first met Columbia Records employee, Ellen Bernstein. Soon, the pair began a relationship which was to spell the end of Bob Dylan’s marriage to his then-wife Sara. Later, Bob Dylan took Ellen Bernstein to his farm in Minnesota, where he completed the seventeen songs from which Blood On The Tracks was formed. Little did Bob Dylan realise as he wrote this soul-baring album that later, it would be regarded by many critics as one of the finest collections of love songs of the last century. Blood On The Tracks is an emotional roller coaster, and features songs that bring to life the hurt and heartache of a marriage where the final curtain was about to fall. Here was an album many record buyers could relate to. Ironically, before Bob Dylan entered the recording studio he decided to give some of his musician friends a sneak preview of his new songs. David Crosby, Graham Nash, Stephen Stills, Tim Drummond and Peter Rowan listened intently as Bob Dylan ran through the songs. When he left the room Stephen Still hadn’t been won over and said: “He’s a good songwriter…but he’s no musician.” This was an ironic comment from a singer-songwriter who never came close to replicating the success Bob Dylan enjoyed. Prior to recording Bob Dylan thought about using an electric backing band with Mike Bloomfield playing lead guitar. This made sense as the guitarist had played on 1966s Highway 61 Revisited. However, when Bob Dylan played Mike Bloomfield the songs he planned to record, he played them too quickly for the guitarist to learn. Bob Dylan then moved to plan B. This was recording stripped-back acoustic arrangements of the songs on Blood On The Tracks during sessions in September and December 1974. Not long after the album was completed, Bob Dylan signed to Columbia Records in the hope that their commercial marketing muscle would help result in Blood On The Tracks would be a commercial and critical success. Alas, the reviews of Blood On The Tracks were mixed, but sold well across the world and was certified gold in Britain, platinum in Canada and double platinum in America after selling two million copies. This was the perfect start to Bob Dylan’s second spell at Columbia Records. Forty-three years after the release of Blood On The Tracks, the standard edition of The Bootleg Series Volume 14: More Blood, More Tracks turns features eleven songs which ooze emotion, hurt and heartache as Bob Dylan lays bare his soul. Among the highlights of this stripped back collection of songs are Tangled Up In Blue, Shelter From The Storm, You’re A Big Girl Now, If You See Her, Say Hello and You’re Gonna Make Me Lonesome When You Go. The less is more approach works and understated acoustic arrangements are the perfect foil for Bob Dylan’s soul-baring vocals on The Bootleg Series Volume 14: More Blood, More Tracks. Often albums consisting of outtakes lack quality, and it’s soon apparent why the material has lain unreleased for so long. That isn’t the case on the single disc edition of The Bootleg Series Volume 14: More Blood, More Tracks. 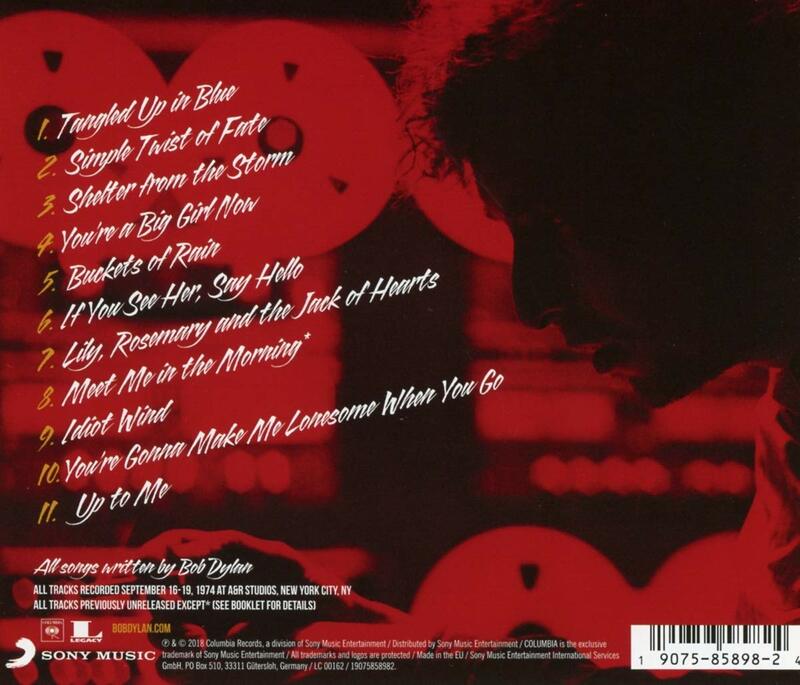 For some Bob Dylan fans, this will be a tantalising taste of the delights that await the listener on the six CD set. Many other Bob Dylan fans will be content with the single disc edition of The Bootleg Series Volume 14: More Blood, More Tracks. Personally, single disc edition of The Bootleg Series Volume 14: More Blood, More Tracks the perfect companion to Blood On The Tracks, which features a truly beautiful and heart-wrenching collection of love songs from Bob Dylan as he lays bare his soul as his marriage to his then wife Sara teeters on the brink, as the hurt and heartache shows in the eleven songs shows. ← JETHRO TULL-THIS WAS (50TH ANNIVERSARY EDITION).